There are many wonderful clematis varieties to choose from, with lots of variations in height, bloom time, flower form and color. Compact cultivars grow just 3-feet tall, while others can reach 20-feet or more. Flowering times can be late spring, summer or fall, with re-blooming types flowering both early and late in the season. Flower styles also vary. There are big, star-like singles, frilly doubles, delicate miniatures and even lovely bell-shaped blossoms. And then there’s color! Flower colors include white, pink, red, burgundy, lavender, deep purple and even yellow. With so many options, you can probably find several different clematis for various places around your yard and garden. If you have the room, consider planting two different varieties side by side. 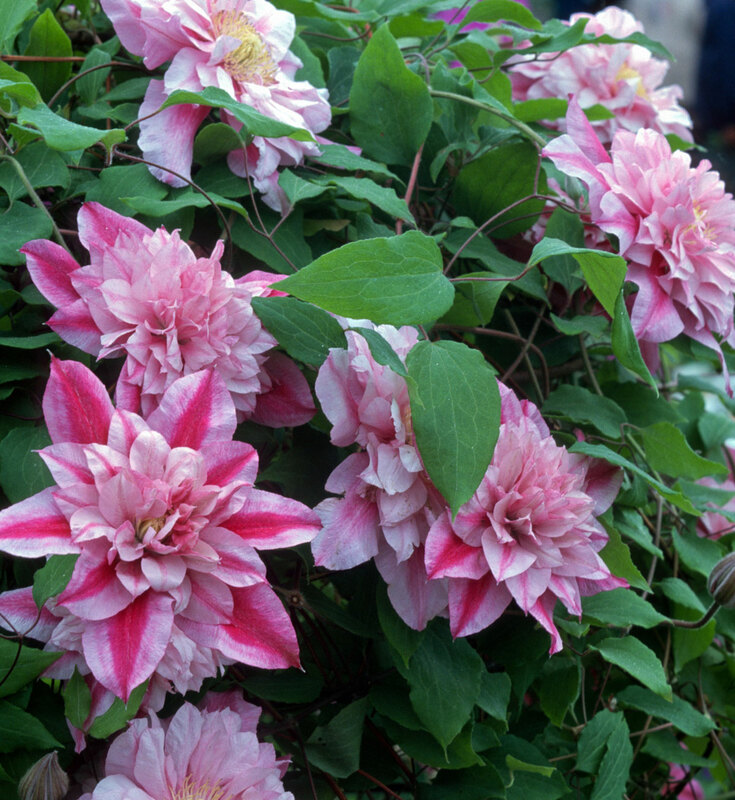 Combining an early-blooming and late-blooming clematis will give you months of flowers. Vines climb in several different ways. Some have twining stems (like morning glories) or tendrils (like sweet peas). Others have adhesive pads (ivy) or clinging stem roots (climbing hydrangeas). Clematis use the stems of their leaves, which they can coil like the tendrils of a pea vine. It’s important to know how clematis climb, because their twining leaf stems are relatively short. When choosing a trellis, keep in mind that these plants can’t grab onto anything that’s more than about 1/4″ thick. Clematis are long-lived, and they don’t like to be moved, so consider the planting site carefully. The ideal location will have well drained soil that’s rich and loamy. If possible, find a spot where the roots will stay relatively cool. In most cases, you can count on nearby plants to shade the soil. If the planting area is more open, plan to mulch the soil surface with shredded leaves or compost, keeping the mulch a few inches away from the plant’s stems. To maximize flower production, plant your clematis in full sun. Though most varieties will grow in half-day sun, they won’t produce as many blooms. Some varieties that tolerate half-day sun include Jackmanii, Nelly Moser and Henryi. You’ll probably notice that the root system of a clematis is wiry rather than fibrous. This is one reason why a two-year-old clematis plant is smaller than most other perennials. The vines are also relatively brittle and need to be handled gently. When you’re ready to plant, dig a generous hole, add compost and mix well. Position the crown of the plant (where the roots meet the stem) about 2” below the soil surface. Backfill the hole and water deeply to settle the roots. Water regularly during the first growing season. You can expect your plant to spend the first year getting established and start blooming year two. Surrounding the young plant with a cylinder of wire mesh will help protect it from nibbling mice, rabbits, and voles. Even though the plant won’t reach its full height the first year, it’s important to provide a trellis, right from the start. 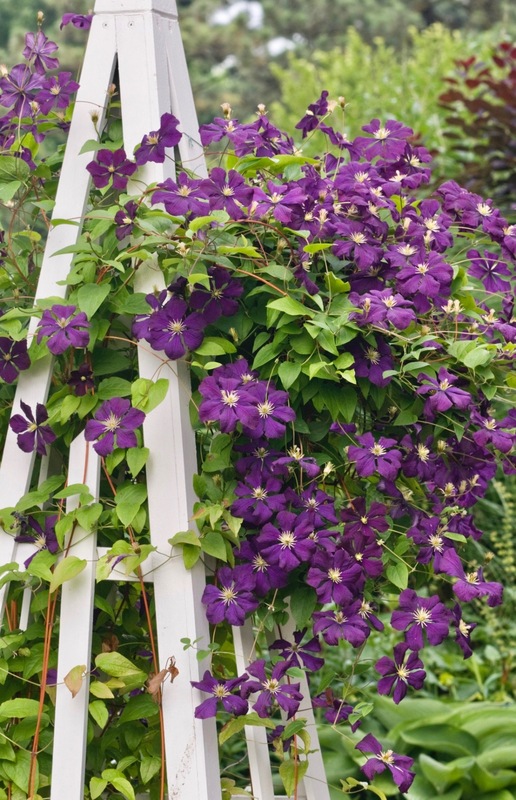 There are some types of clematis that have a bushy growth habit, but most are born to climb. As with other climbing plants, new shoots are always searching for something to grab onto. If the vine can’t find anything to attach itself to, the new shoots stop growing and die back. Providing the right type of support will help your plant look good and grow well. Clematis vines need to be handled with care. Older stems appear to be woody but will crack if they’re bent. Young stems look supple but are actually quite brittle. This makes it difficult to rescue a plant that starts to flop midseason. 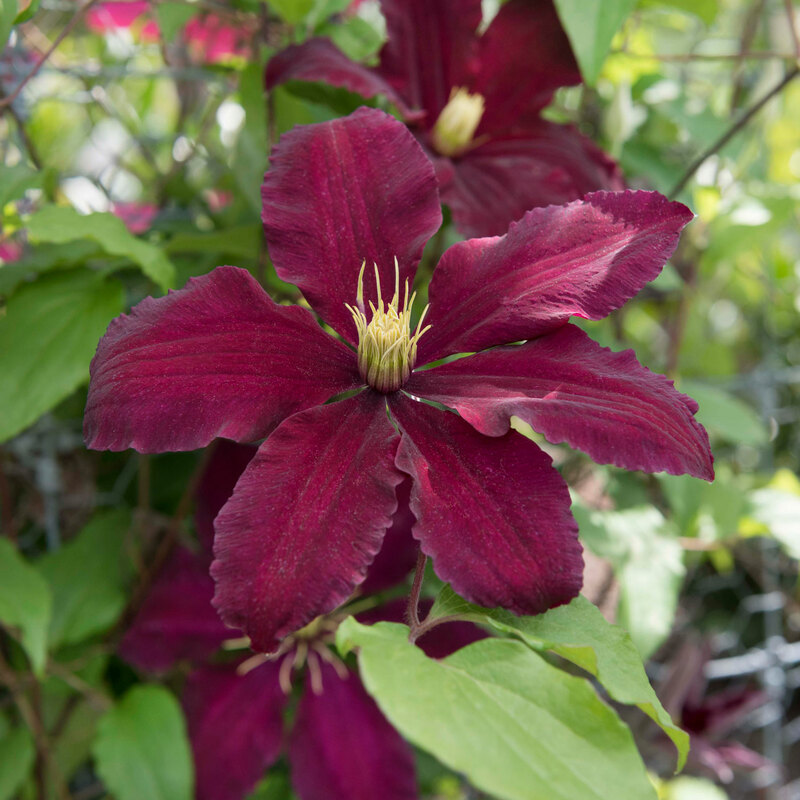 To avoid heartbreak, give your clematis a trellis that’s large enough to provide good support. And make time in late spring and early summer to corral wandering stems and tie-in top-heavy growth. One of the simplest and most effective trellises for a clematis is a wire grid with openings that are 2” to 4” in diameter. Black or green poly-coated fencing is strong and long-lasting. If it’s flexible, you can even mold it around a post or along the top of a fence. Concrete reinforcing wire (sometimes called re-mesh) is rigid and more challenging to handle, but it makes a great trellis and will last for many years. 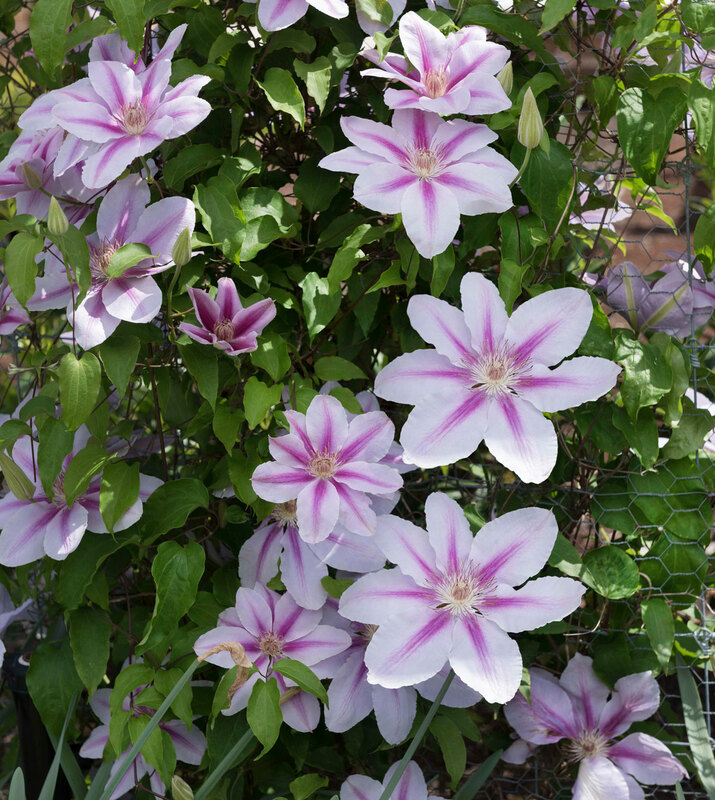 Give your young clematis a “training” trellis to help it get started. Cut a 12″ square of chicken wire or some other relatively flexible wire mesh that has 1″ or 2″ openings. Anchor this mini trellis to the ground behind the plant and then attach it securely to the permanent trellis. Each clematis variety falls into one of three pruning groups, which specifies how the plant should be pruned. If you’re like most gardeners, you already find pruning intimidating — even without having to keep track of which technique is right for which variety. So here is an easier approach. If your clematis sends up most of its new growth from the base of the plant, you know that it will flower on current year vines. These plants can simply be cut back each year in early spring, to a height of 12-18”. For clematis that produce most of their new growth on last year’s vines, limit your pruning to maintaining the desired shape and removing dead or weak stems. The best time to prune these plants is late summer, right after they bloom. Bear in mind that you won’t need to do any pruning for the first year or two, so you’ll have time to see how the plant grows and can then prune accordingly. 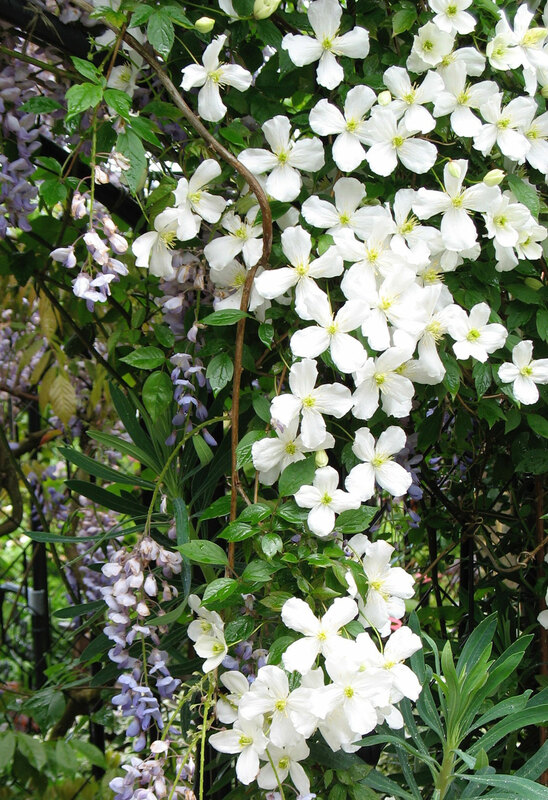 Should your clematis ever outgrow its allocated space, you can simply cut back the entire plant to a height of 6″. This can be done in fall or in early spring. Stray vines may also be trimmed back any time during the growing season. Learn more about growing clematis here: All About Clematis. 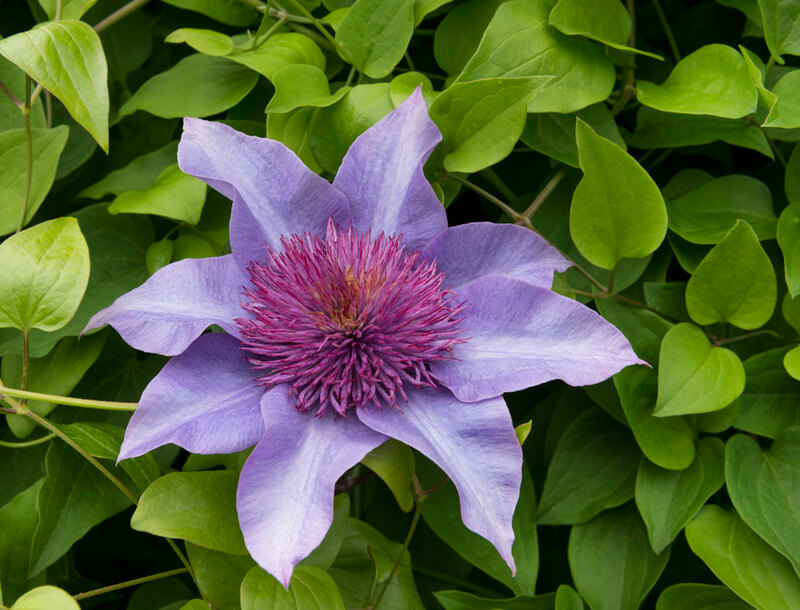 To shop our full line of clematis, click HERE. Your article was very informative. I love my clematis and I have planted two additional vines. I live in south Georgia and wonder if our intense sun would too much heat for the plants. I have areas that are full sun and areas with full shade but not much inbetween. Any suggestions? Hi Barbara, thanks for reading! I don’t have experience growing in Georgia, but I think most clematis should be able to handle heat as long as you can provide adequate moisture and keep the roots cool by shading the bottom of the vine. I have grown a couple clematis in full shade. They flowered OK for a few years (less than they do in sun) and then gradually faded away. If you want to give this a try, choose varieties that are known to handle shade better than others. These include most Clematis alpina, Clematis montana and Clematis viticella. 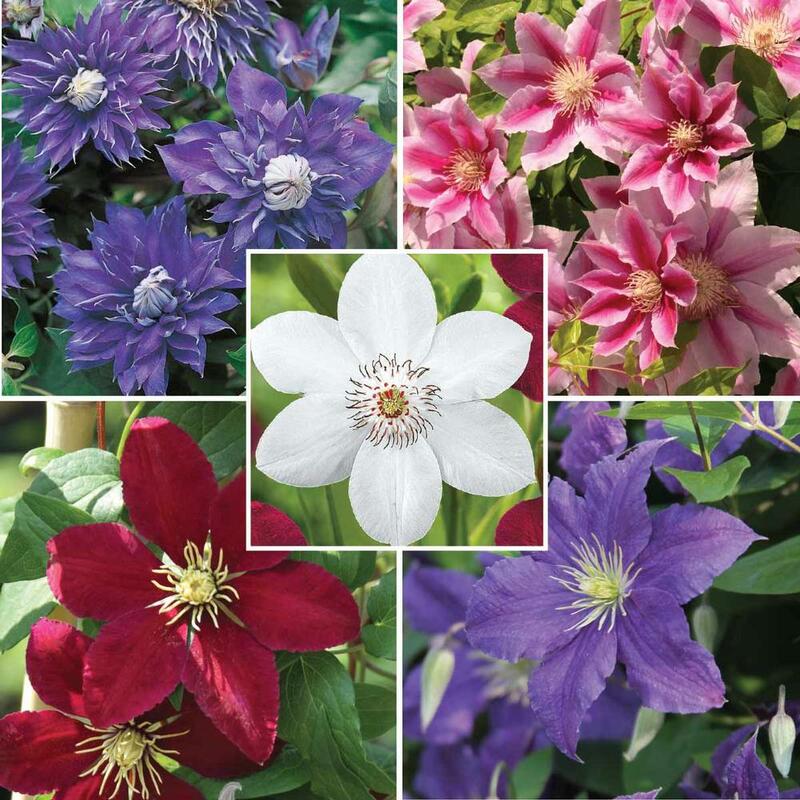 Other standard clematis hybrids that will flower in part sun include Carnaby, Comtesse de Bouchard, Guernsey Cream, Hagley Hybrid, Nelly Moser, Blue Angel, Henryi, Prince Charles, Polish Spirit and Fireworks. Good luck! Hi Ginny – So glad! Thanks for leaving a comment. Hope your clematis bloom well this summer. Hi, so glad I found this article on Clamatis vines! I have a few Clamatis that are planted on a corner of my house. They were planted about two or three years ago. They seem to be doing well, but I would like to move them to a pot on the front of my porch. Any suggestions before I dig them up? Planning to move soon and would like to take them with! Early spring or fall would be the best time to move your clematis. Dig very carefully and try to get all the roots. Clematis stems are very brittle. Best to cut the stems quite short (4-6”) before trying to dig them up. These are woody plants, so they will take awhile to recover. Make sure to water them regularly until the roots have reestablished themselves. Good luck! Hi Barbara, I live in SW Ga. and have a beautiful clematis that is in full sun. It must love it because it has bloomed like crazy for around 10 years now. Good luck! I love your tips. I actually needed them last year, so I had to just improvise on my own. I had bought a purple clematis on clearance two years ago and wasn’t satisfied with my temporary trellis, so I decided to take it to the next level and give it something to really climb on and I added a white variety. My son helped me attach a length of fencing that would hang from my eaves to the ground in front of my bedroom window. We got that done and then I painstakingly wove the vines of the purple clematis as carefully as I could through the new trellis. It was brittle and I did break it in several places. The white variety was mostly all roots and never grew much, last year. This year, I was watching everything turn green and grow and I was happy to see the new vies grabbing onto the fencing. There were lots of buds.I couldn’t tell if the white variety had survived the winter. I got a very nice surprise to see it blooming along with the purple clematis. I think I created a winner and look forward to it’s maturity. I’d post a picture, if I knew how. Thanks for the tips! I saved them for future reference. Hi Melva – what a wonderful description. As I read your note I could see just how it must look. So glad your clematis are happy and blooming. They are long-lived perennials, so hopefully they will give you many years of enjoyment. I love the look of two different varieties intertwined. Good work!! Hi! 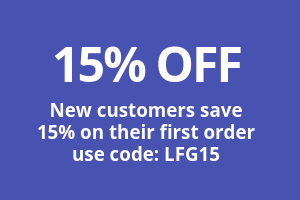 Thank you so much for your advice–new gardener here. I planted 3 small clematis plants in front of a 6 foot white PVC fence last year. I bought them at home depot and they came attached to a very small wooden stake/trellis about 1 foot high. I did not realize that the plant would take off this year, and it is now growing towards my other plantings on the ground horizontally and looks like a small shrub. Is there any way I can get it to grow up the PVC fence? Can i attach something to the fence without making holes in the fence, or is there something I can put against the fence? How do I then get the plant to grow back onto the new trellis/fence structure? I am clearly lost, thank you so much. You will need to attach some kind of trellis or a wire grid to your fence. 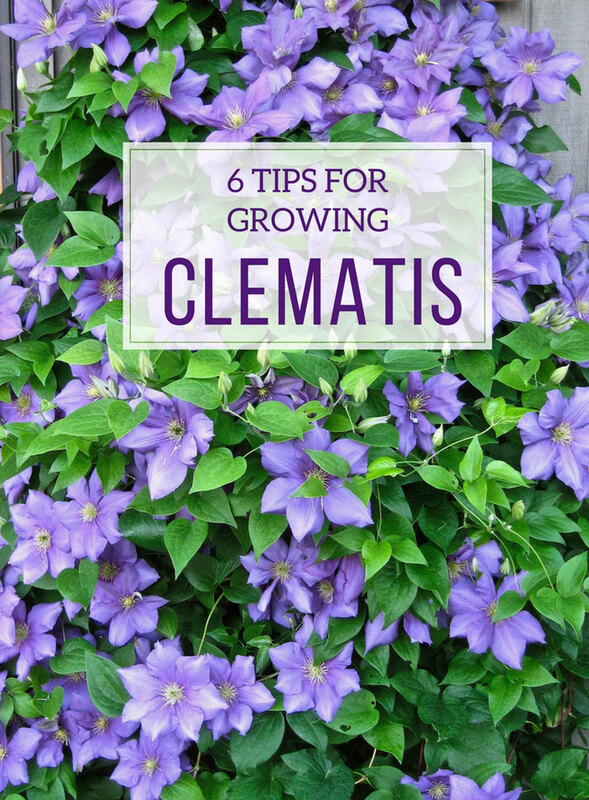 As you probably read in the article, clematis climbs by using leaf tendrils. They can only grab something that’s less than 1/4″ thick. You could use wire to securely attach a piece of plastic-coated wire fencing to the PVC fence. The grid size should be no less than 2″ and there should be several inches between the wire grid and the PVC fence. You’ll then need to gently lift the vine(s) off the ground and use twine to loosely tie them to the trellis until they get themselves established. Good luck! I live in the Eastern plains of Colorado but at 6800 feet. My clematis always starts out well, lots of buds, then the leaves start curling, browning and vines die back. Any suggestions? Hi Gina — What you are describing sounds like clematis wilt. Here are two links that may be helpful. Penn State Clematis Diseases and an excellent article about clematis wilt from the International Clematis Society. Good luck! Such an informative and helpful article – thanks! We’d love to grow clematis, but have moved to an area of clay soil in Pittsburgh, PA, which is very challenging. Any suggestions on successfully growing clematis in clay soil? Hi Cindi – I have two suggestions. First, try growing clematis in containers. There are now quite a few cultivars that have been bred for growing in pots. The plants grow 4 to 6 feet tall and produce flowers from top to bottom. Here are a couple that we offer: Hakuba, Little Duckling and Multi-Blue. The other suggestion is to make a raised bed for your clematis. You can fill it with better soil and since it’s raised above the native soil there will be better drainage. Good luck! Will clematis go dormant in the winter or is this an evergreen vine? 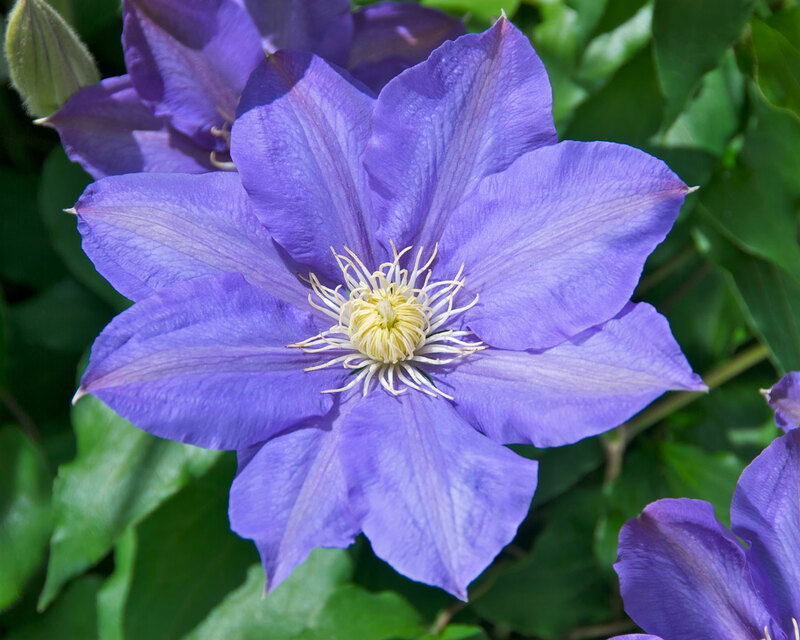 Hi – clematis are herbaceous perennials and lose their leaves in the winter. Hi Kath, I am so glad I found you. I purchased a Montana Freda which I had planned to plant by a fence, however, it is impossible due to existing tree roots. I am considering a raised bed. There is probably only 4 or 5 inches that are root free, so the bed this will have to be fairly deep. I have found two that are stackable: 2X2 or 2X4, ( which I imagine is the size the clematis would want?) I am unsure of how much depth I would need. Hi Sandy – That type of clematis gets very large. Though a 2×2 bed would provide enough surface area, you’re right that the plant will need more soil for its roots and to ensure consistent moisture for sustaining all that top growth. So your inclination to go with 2×4 is smart. I’d try to give it 18″ of depth (including the top 4-5″ of native soil). Good luck! Such a helpful article! We have a clematis plant that was established when we moved in and a trellis we never moved. From your article it sounds like I need to add more wire for it to grab onto compared to what we have now. It is in full bloom right now but very sparse as we do not tend to it at all, how to I make it become a fuller bush or do I need to wait till next spring? 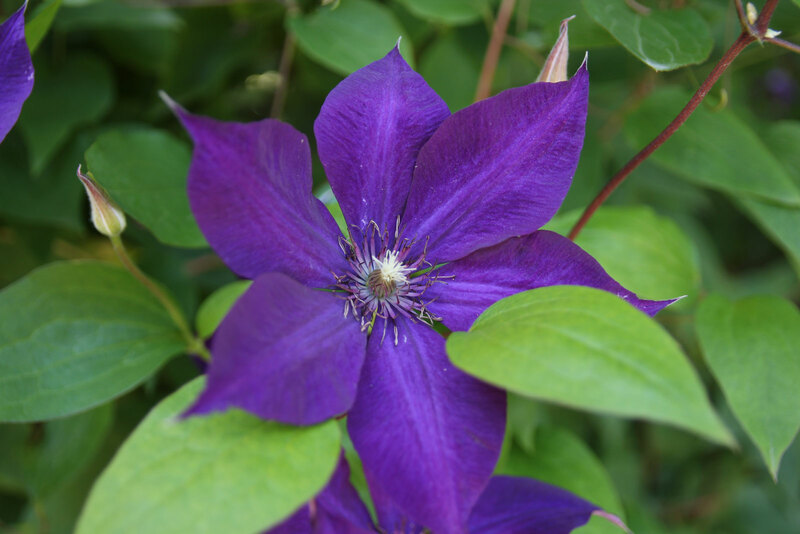 Hi Kelsey – Some clematis varieties are simply more vigorous than others. I have also found they can be quite particular about where they are planted. Good drainage is always important. You can mulch around your plant with compost at any time of year and boost its vigor with a couple doses of liquid fertilizer (any time before mid-July). Hi Tina, Could the problem be lack of sun? Some clematis cultivars will flower in partial sun, but most of them need full sun to bloom well. You could try moving your clematis to another location and see if it does better there. Best time to move it would be early spring while the plant is still dormant. One other possibility is too much nitrogen. 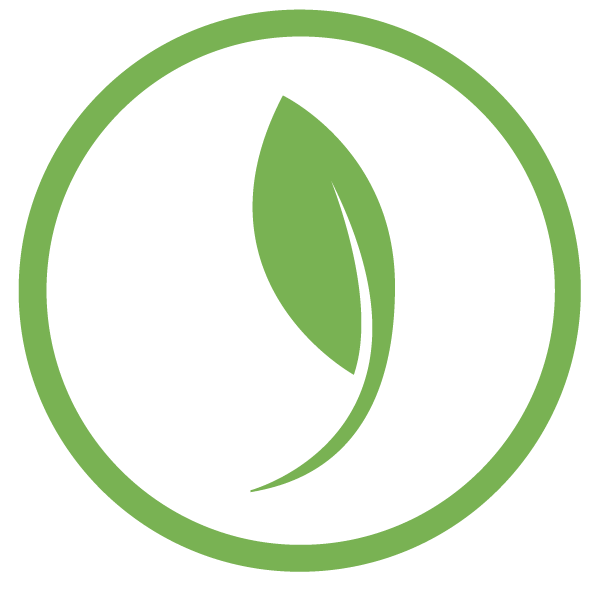 When plants have access to more nitrogen than they need, they will put their energy into producing foliage rather than flowers. If you have been fertilizing, stop fertilizing for the rest of the season and see what happens. Hope this helps! Loved the article. Very informative. Question, although I can’t remember which kind of clematis I have , I wonder why after it has bloomed and has grown, some of the vines start to dye. Some of the leaves also show spots as if sick. It sounds like clematis wilt. This is a common fungal disease that affects clematis. The leaves are affected first, but then some or all of the stems may turn black and die back to the ground. Some varieties seem to be more susceptible than others, but it can affect all large-flowered clematis. Though the plant may be gone for this year, the disease usually doesn’t kill the plant and you can expect it to come back next year. Here is a link to an article from the Missouri Botanical Garden that explains how the disease works and what you can do to help avoid it. Love your blogs, I have a clematis in a pot , do I need to bring it in during winter months of can I just put straw over it? It’s my 1st one and I need help with this. I live in central missouri . Thanks a lot to your advice. Hi Theresa — sorry I missed your comment until now. Container-grown perennials that spend the winter in a pot outdoors, should be treated as if they will be going through a winter that is a full growing zone colder. Since most clematis are hardy in zones 4 or 5, yours should be OK left outdoors. What’s most important is to maintain the proper amount of moisture in the soil. Don’t let the roots dry out, but just as importantly, don’t let the soil get soggy. Insulating around the pot is a good idea — it will help prevent the freeze/thaw cycles that cause problems for clematis and other plants. Again, just keep an eye on the soil and don’t let it get too wet. Hope this helps. I have 6 different clematis. Five of them are planted under a split rail fence and 1 on a trellis. I wrap twine on the fence and the plants grow beautifully! They return each spring! They are 12 years old and never disappoint! Hi Laura – Yes! Clematis are so easy and rewarding. Thank you for encouraging others to give them a try. Kathy, my first attempt at growing a clematis was in Missouri. I planted it in a very large pot and centered it under a metal oblisk. It grew and bloomed ( I was thrilled), then it started to fad away. The stems looked brown and the leaves fell off. I thought it had died…so I cut it back to the pot and untangled the brown stem and threw them away. I was going to plant something else in the pot as it sat by the steps of the front porch. We had a rainbird watering system for the yard and the timer was set to water at different days through the week and it always hit that pot. When I finally got around to buying some new plants, I was prepared to tear out the clematis but to my surprise , it had sent up new shoots and they were climbing the oblisk already. When I moved, a neighbor wanted it and I couldn’t move it…but what kind of clematis would you think it might have been…to be cut back during it’s growing season and then bloom again. Hi Nancy – Thank you for your comments. It sounds to me like your clematis was suffering from clematis wilt, which is a very common fungal disease. It usually occurs in mid to late summer and the first sign is often brown spots on the foliage. Eventually the leaves may turn completely brown and the stems may die back to the ground. There’s nothing you can do about it, but fortunately wilt rarely kills the plant. Though your plant appeared to be dead, it was just done for that growing season and returned the next spring. As with other fungal diseases, the best preventative is good air circulation. 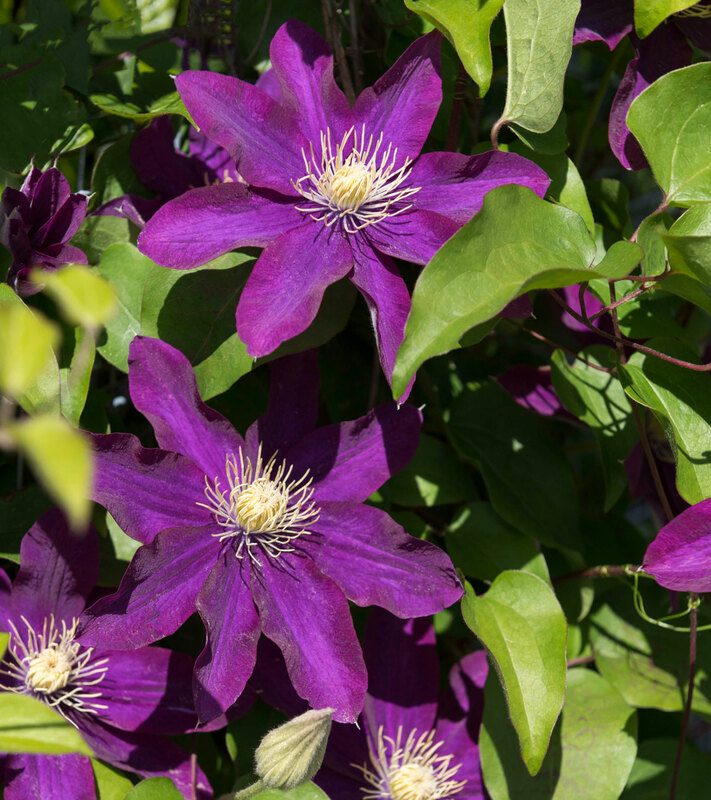 Also, some varieties of clematis are more susceptible to wilt than others, so next time you purchase a clematis, shop around for one with good resistance.